Ahmad Shah Massoud, a renowned guerrilla fighter of his generation, left behind a mixed legacy after his death on September 9, 2001. A moderate amongst the leaders of jihad who grew extremer every day, few close to him would question the personal dignity of the commander. His humanity remained intact despite being devoured by the beast of war for more than half of his life. However, what taints his legacy is the involvement of his men in the darkest period of Afghanistan’s history—or Kabul’s history, rather. The period I speak of is the years between 1991 and 1996, when the government of Dr. Najib was toppled and the Mujahideen moved into Kabul. As their eminent victory over Najib’s government neared after the Soviets withdrew their military power, the Mujahideen grew progressively divided. At the heart of their disputes was the structure of the future government that would move into Kabul. How would the power be divided? And more importantly, who will move into the mouth-watering presidential palace? As the various factions tightened the noose around Kabul, Najib offered to step down. His attempts to ensure a smooth transition did not reach anywhere for no one listens to the demands of a leader on verge of demise. The country was at the mercy of the handful jihadi leaders who bargained behind closed doors in Peshawer. Pakistani agents sat at the head of the table, trying to broker a deal. Massoud himself did not have any ambitions of becoming president, that is one certainty of the matter. He was a king-maker and his word carried a lot of weight, but he had never shown any desire for the seat. He repeatedly said that he had left the issue of leadership of the country to the elders. However, it was his rivalry with Gulbuddin Hikmatyar, a fellow engineering classmate in his younger days, that eventually turned Kabul into the bloodiest killing-ground. The commanders had delayed an immediate entry into Kabul until a political agreement was reached by the different leaders in Pakistan. A sudden entry would bring chaos in the city, it was said. But Hikmatyar grew restless of the negotiations, and felt that nothing was being achieved. He wanted to move in immediately and claim the ultimate prize for the Mujahideen: the presidential palace. But there was no longer such a thing as the mujahideen. The language used was one of ahzab, or parties, factions. Hikmatyar’s entry meant a victory for his faction, not for all. And Massoud vehemently warned against such an entry. He tried to convince Hikmatyar that he should wait, pending the results of the negotiations in Peshawer. But Hekmatyar would have none of it. So Massoud declared that he would “defend the people of Kabul, the man, women, children, and elderly of Kabul.” And so began the darkest period in history. 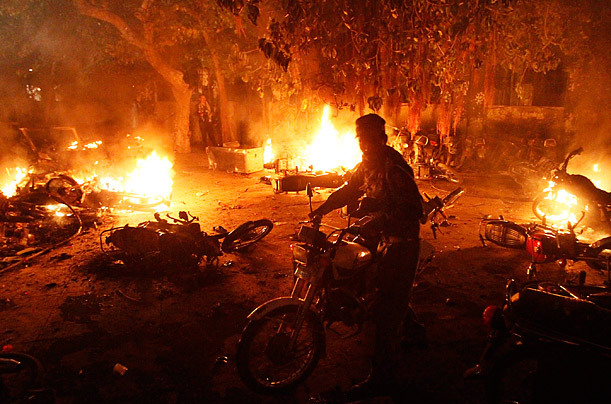 For close to five years, until Taliban emerged from the South to rid them all and corner Massoud into Panjsher, Kabul burned in a hellish civil war. The small city was divided up into numerous kingdoms, with a throne on every street. Hikmatyar fired mortars from one end, Charasyab, and Massoud responded from the other, Koh e Telvision. In between, Kabul was looted, raped, and burned until it turned into a ghost-town. Any warrior, whether he likes it or not, will have blood on his hands. Massoud is no different. His image, as Afghans see it now, has splashes of blood over it. Whether he pierced his own dagger and drew that blood is questionable. Did he have men under his command who caused tremendous bloodshed? That is a harsh certainty. 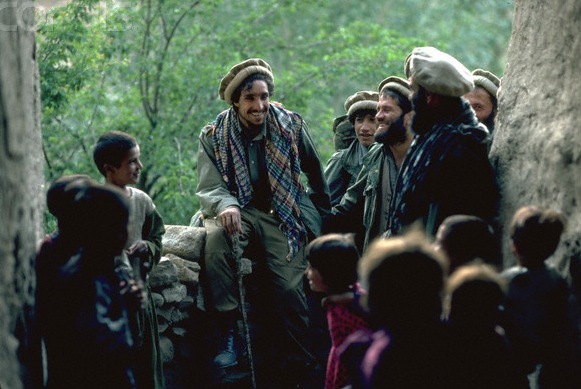 But Ahmad Shah Massoud stands out for one characteristic that many life-long warriors lose in the face of war: the ability to maintain a concerned, moderate, human heart. At every moment of his life, in every speech, in every gesture, Massoud gave the vibe that he had risen from the people, that his struggle was for the people, and that he was firm on the principles of his struggle. From what his friends and those close to him recall, one gets a sense that Massoud was a man firm on upholding his principles at all times. In time of peace, that is an easy task. But when you are cornered into a ditch for years and your enemy threatens to destroy you every moment, it takes an extraordinary man to stay firm, to stay true, and to maintain a kind heart. We were in Kabul. A professor at Kabul university came to Massoud and complained that his daughter had been taken by the son of a commander. Massoud ordered Fahim [his intelligence chief at the time, the current Vice President of Afganistan] to return the girl to his father at any cost. In fact, Massoud said he would not eat until the girl was returned to his father. Fahim said that the case would get messy, it could ignite fighting. The boy’s father had lots of armed men. Massoud replied that the honor of the professor and his daughter was everything to him. She should be returned at any cost. I joined Massoud at a gathering in Takhar. My entry into the room had interrupted his conversation with one of his commanders. After greeting me, he turned to the commander and asked him to please continue. Later, Massoud refused to have a bite of the deer meat they had brought him as a delicacy. Massoud, on many times, reminisced about his student days. The man had gone through a lot, but he still remembered his days at the lyce Istiqlal as the best days of his life, where he played soccer and prepared to join the engineering faculty at Kabul Polytechnic. His first two years of university, too, he recalled with nostalgia. He had been very focused on his studies, very excited about becoming an architect. But the communist revolution in Afghanistan changed everything for him, turning him into a life-long warrior. One only wonders how good an architect Massoud would have become had there been no war. This is the second and final part of a two-part serines on Massoud and his legacy.